DAUGHTRY STILL KING AS “IDOL” DOMINATES THE VIDEO CHARTS! The public has spoken, and the media has listened! This week five songs in the top 20 videos are by the winners or runners up of “American Idol”, the biggest TV show in America, and “Pop Idol”, its counterpart in the U.K. Finally, real artists who can really sing without the help of effects and digital enhancement, who rely on good well-crafted commercial songs! 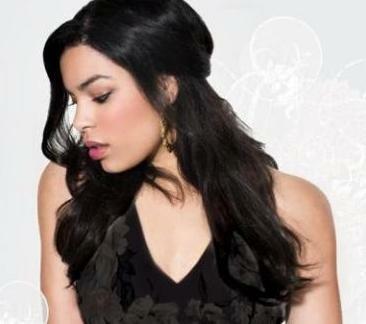 Tags: AMERICAN IDOL DOMINATES VIDEO CHARTS!, Daughtry video "What About Now?" 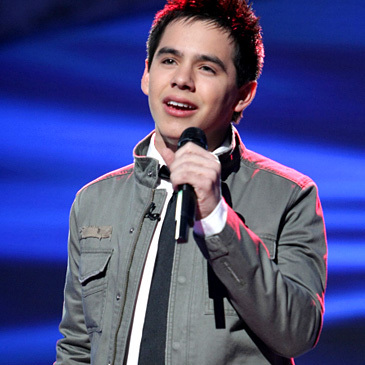 Director's cut, David Archuleta "Crush" video, Jennifer Hudson video "Spotlight", Jordin Sparks "One Step At A Time" Video, Leona Lewis UNCENSORED UNEDITED video "Better In Time"
What ARE you talking about? Chris Daughtry has twice been in trouble for using other peoples music or songs and crediting them to himself, that doesn’t ‘reek integrity’ to me. I’ve seen him live twice and he is often flat and off key or screaming and his cd has been made with a huge amount of digital enhancement. The band he has now are not the musicians who played on the cd. There was no Daughtry when that cd was recorded. I have become very disillusioned by Daughtry who are in fact a completely manufactured group of Rock Group copycats. Sorry dude I wish I had never wasted money on them. Your statement……’Finally, real artists who can really sing without the help of effects and digital enhancement, who rely on good well-crafted commercial songs!’….. Most of Daughtrys songs have been written by songwriters and if he contributed just a small word or Riff they added his name to the credits. Thats why Ace young and other writers were nominated as the songwriters at the AMA’s and not Daughtry. I doubt if you will allow this to go through, but I do wish you had been a little more au fait with your subject when you wrote this!! I like the songs, just don’t see him as ‘The Real Deal’ as you put it. Jamie T you have no idea of what you are talking about. Chris is a songwriter and did write all but two of the songs on his album. There is nothing to that lawsuit because Feels Like Tonight wasn’t written by Chris or anyone from Daughtry. American Idol had it written for Chris. You are just a troll who likes to tear him down. Chris sounds great live, his concerts are phenomenal. As for the two songs, FLT wasn’t written by him, and INO credit WAS given on both songs. If you actually owned the CD, you’d know that. Daughtry was nominated WITH Ace, get you facts straight, troll. Daughtry sounds GREAT in concert! « UNLOCKING THE MYSTERIES OF THE INTERNET…FOR FREE!